BALMER WILCOCK in LEIGH are delighted to market this GROUND FLOOR ONE BEDROOM APARTMENT with a PRIVATE ENTRANCE and NO ONWARD CHAIN. 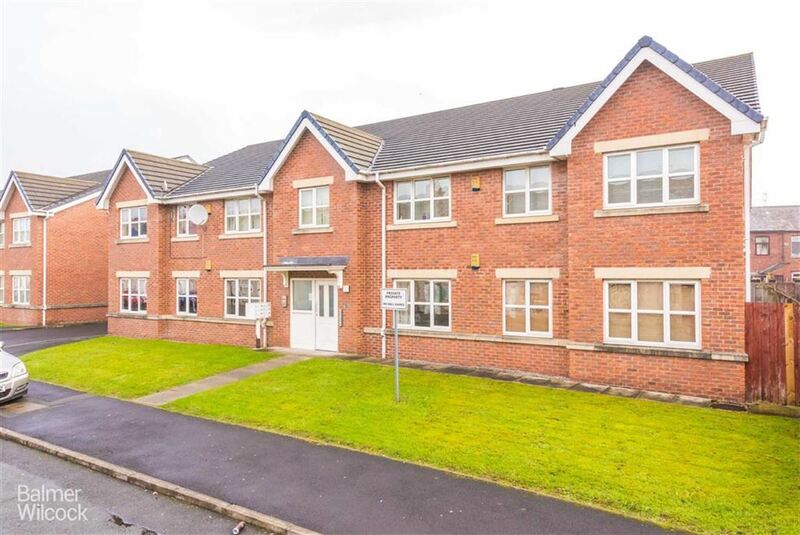 Complete with OFF ROAD PARKING and backing onto the canal, this property is being marketed to ONLY BUY TO LET INVESTORS with the property currently being rented out for �325 PCM!!! Entry is via a private entrance hallway with stairs rising to the first floor. The SITTING ROOM has French doors and windows looking onto the canal. The kitchen is separate from the sitting room. The well proportioned bedroom and bathroom completes the living accommodation on offer. Outside, the property is located with a cul de sac and provides OFF ROAD PARKING. Electric heating, double glazing and no onward chain completes the package on offer.